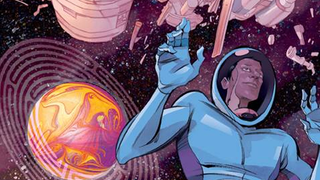 This Week In Comics: The New Space Adventure Comic You MUST Read! This week, Kaptara, a zany space adventure that we are very excited about, begins! There’s another batch of DC’s Convergence titles, and Marvel hyping up Age of Ultron via comics. But that’s not all for this week — there’s the escapades of Charles Babbage and Ada Lovelace, and a comic about a sentient, foul-mouthed gun!